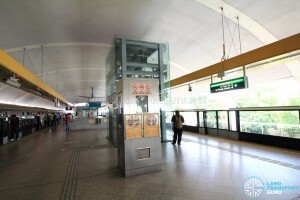 Kallang MRT Station (EW10) is an above-ground station along the East West Line (EWL). It sits within the Boon Keng planning subzone, adjacent to the Kallang Bahru and Kampong Bugis subzones, and is physically located along Sims Avenue, at the junction with Lorong 1 Geylang. This train station is affected by East West Line Early Closure (Bugis – Tanah Merah) on selected Fridays & Saturdays in May & June 2019. Click here for more details. 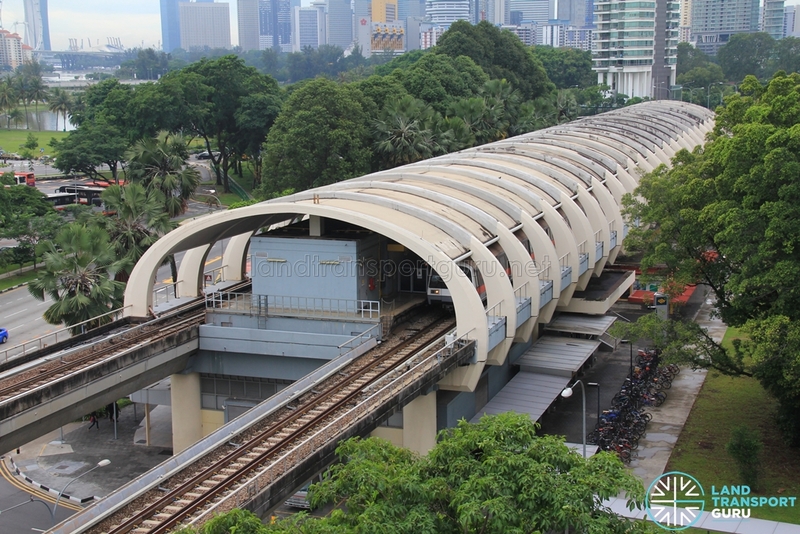 The station is named after the Kallang area it serves, thought to be derived from factory mills or the Orang Laut tribe in the past. It serves clusters of HDB housing blocks around Lorong 1 Geylang, along with plenty of businesses and institutions located within shophouses in the Sims Avenue / Geylang Road area, and industrial estates in the Boon Keng area. Bus connections are offered from Lorong 1 Geylang Bus Terminal, heading to other parts of the island. 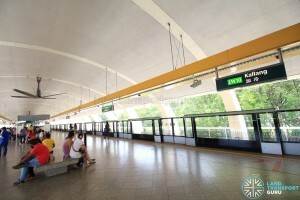 Kallang station has two elevated East-West Line platforms in an island platform arrangement. Half-height Platform screen doors are installed at the platform edge for the safety of commuters, and retrofitted High volume, low speed (HVLS) fans keep passengers cool. Similar to most platforms along the Eastern side of the East West Line, a barrel vault roof design allows for a spacious interior that is easily navigated. 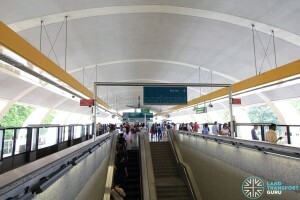 The station has a ticket concourse located at ground level. It features faregates for automatic fare collection and provides access between paid and unpaid areas of the station, with at least least one bidirectional wide-swinging gate for the benefit of passengers-in-wheelchairs and those carrying bulky items or travelling with prams. Toilets and retail shops are located in the unpaid areas of the ticket concourse, at ground level. 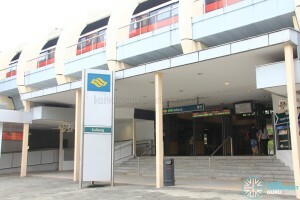 Kallang MRT station has two exits on the north and south side of the station. Only Exit B offers barrier-free accessibility for the disabled. 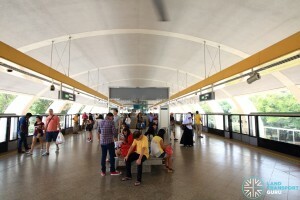 Passengers for Lorong 1 Geylang Bus Terminal should use Exit A.
Kallang station connects to a bus terminal, several bus stops in the vicinity, and a designated Park and Ride carpark. 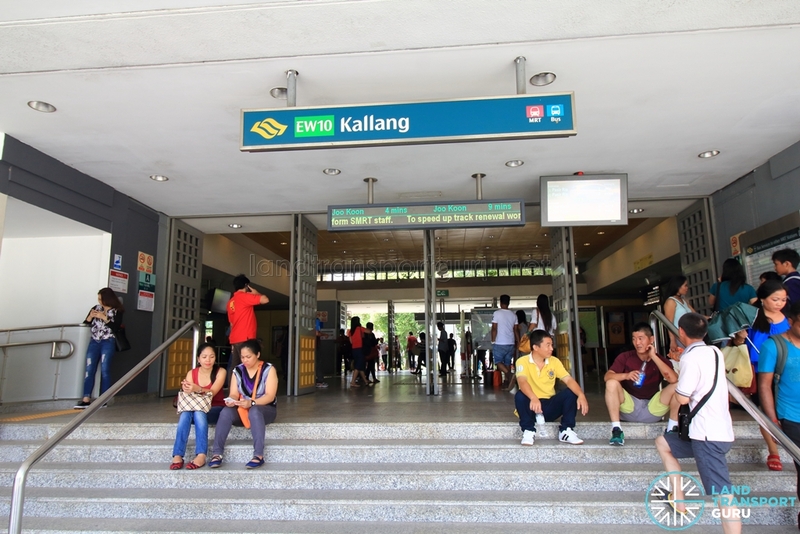 There is a bus terminal and four official bus stops linked to Kallang station. Passengers for Lorong 1 Geylang Bus Terminal should use Exit A and cross the road. In addition, passengers can board free regular bus services at bus stops officially linked to Kallang station depending on the situation on the ground. 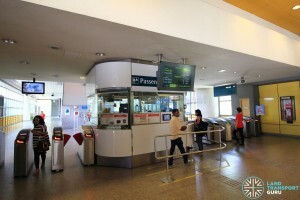 Serving residential developments and businesses in the Kallang and Upper Boon Keng areas, the station encounters moderate demand throughout the day. 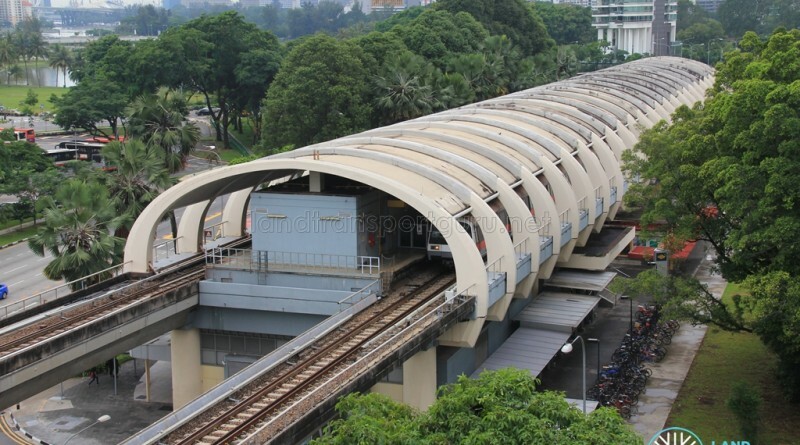 Kallang station opened on 4 November 1989 along with all other EWL stations from Bugis to Tanah Merah.